Do you have an inner knowing that there is more to life? Would you like to identify your soul’s true path? Are you compelled by a desire to contribute more meaningfully in the world? In this remarkable book, Linda Howe reveals how to effectively make the shift from ordinary to ExtraOrdinary living-suffused with purpose, aliveness, and light-through the Akashic Records. The Akashic Records can be understood as the “Cosmic Chronicles of You”: an energetic archive, or dimension of consciousness, that tells the story of your soul’s journey through space and time as a human being. By learning to access this dimension, you will gain insight into your earthly experience and discover how to transform your life into one that radiates light and magnetizes good. 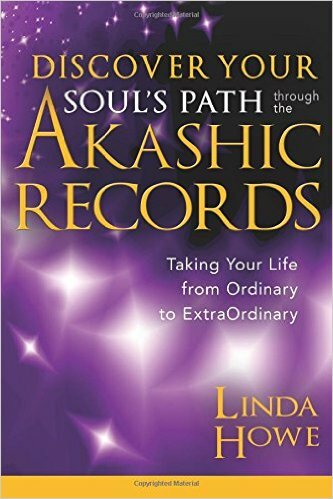 In these pages, enter the inspirational, fascinating realm of the Akasha with Linda as she shares her very accessible and student-tested processes designed to facilitate your awakening to your true identity and soul’s destiny. Explore the essential consciousness concepts of the Records, excavate the obstructing beliefs on your path, and learn how to realign to your soul’s highest purposes. Meditations, or Akashic Reflections, guide you every step of the way. Application of Linda’s teachings is guaranteed to make a critical difference in your life right here, right now. An ExtraOrdinary life is within your reach! What are you waiting for?